Yesterday saw a sharp rally in US stock indices and Treasury bonds and a plunge in the dollar following the Fed’s first monetary policy meeting of 2019. The central bank kept interest rates unchanged, as expected. However, the Federal Open Market Committee (FOMC) sounded considerably more dovish than it has for the past year. In its statement Committee members said they were adopting a more cautious approach to monetary policy and would exercise patience in adjusting the fed funds target rate, citing “muted inflation pressures” and “global economic and financial developments”. The FOMC also indicated that it was prepared to adjust the reduction of the central bank's balance sheet should this be warranted by conditions. The statement also indicted that the balance sheet will remain sizable once its reduction is complete. 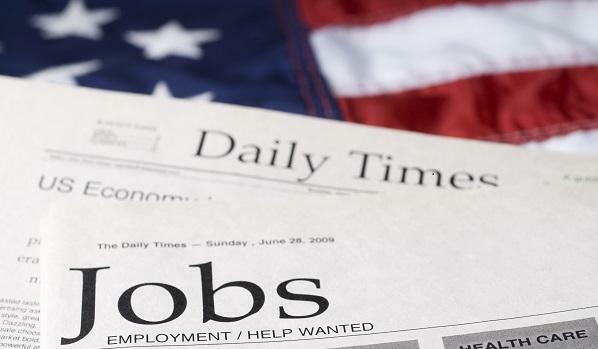 Tomorrow sees the release of US employment data. Headline Non-Farm Payrolls are forecast to rise by 165,000 – well below the prior month’s unexpectedly-large increase of 312,000 on a consensus forecast of 185,000. Not only are payrolls expected to moderate following November’s stellar reading (on top of which there were substantial upward revisions to the two previous months) but they will also be affected by the partial government shutdown which is likely to see contractors lose out. On top of this we had the sell-off in US equities which will have dented confidence and could have had a negative effect on hiring. So, there’s plenty of scope for payrolls to come in way above, or below, expectations. Meanwhile, investors will continue to pay close attention to Average Hourly Earnings as wage growth plays straight into inflation and is a direct cost for corporations. The consensus expectation is for a 0.3% month-on-month gain in wages which translates in to a 3.2% increase year-on-year. Anything above this could raise concerns that the Fed will have to refocus on a pick-up in inflation and so can’t afford to sound too dovish in future. Thursday brought a slew of data releases starting with China’s Manufacturing PMI. This came in at 49.5 for January, just a touch better than last month’s reading of 49.4. Nevertheless, this means that the Chinese manufacturing sector has suffered contraction for two consecutive quarters. Meanwhile, US/China trade talks continued today in Washington and are set to conclude tomorrow. President Trump tweeted that: “Meetings are going well with good intent and spirit on both sides”. But he went on to write that: "No final deal will be made until my friend President Xi, and I, meet in the near future to discuss and agree on some of the long standing and more difficult points." Also, this morning we heard that Italy is now in a technical recession as the country’s GDP contracted for the second successive month. This will complicate matters given the Italian coalition government’s battle with the European Commission over its proposed budget deficit. The populists had been riding high after striking a budget deal with the EU that allowed Italy to run a budget deficit over 2% of GDP this year, well above the 0.8% of GDP that Brussels had initially demanded, although lower than the 2.4% originally sought by the MS5/Northern League coalition. The trouble is that Italy had predicated its spending numbers on a much stronger rate of economic growth, which now looks unachievable. Italy’s technical recession comes on the back of worries over the condition of the German economy. This shrank a seasonally-adjusted 0.2% in the third quarter of 2018 and there are concerns that fourth quarter GDP will also be negative meaning a technical recession in Germany too. Certainly, we’ve seen dismal readings on Industrial Production and Factory Orders, and earlier today data showed that German Retail Sales slumped 4.3% in December posting its worst month-on-month decline since February 2007. We’ll see the latest German GDP update in two weeks’ time.